A few months ago a story did the rounds about a “negative crystal floating in space”  which was accompanied by a rather spectacular image (Image 1). This picture was described as a negative spinel and was one of the most perfectly formed crystal inclusions found and photographed by Danny Sanchez using photomicrography techniques . 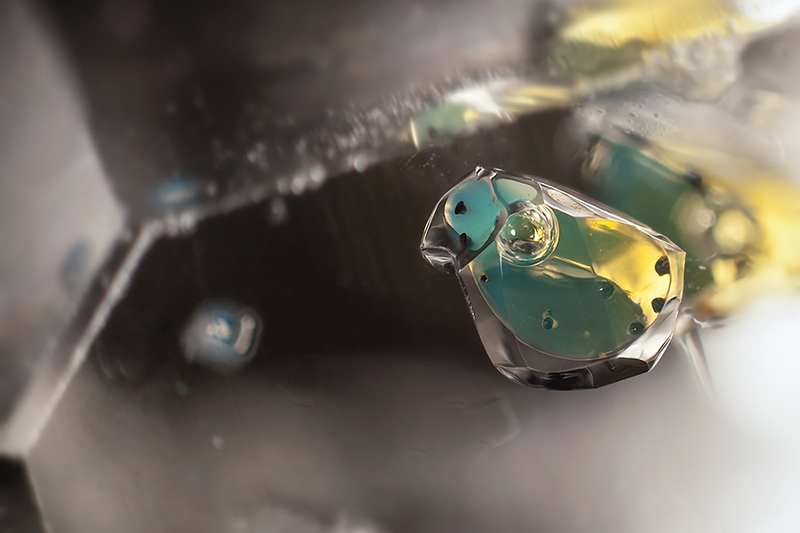 This unique photography technique allows small regions within crystals to be photographed with exceptional clarity, creating extraordinarily surreal images of crystal inclusions. Negative crystals aren’t the only type of crystal inclusion however, and they certainly aren’t the only ones to produce stunning images. Generally speaking, negative crystals are a specific kind of crystal inclusion. Inclusions are when a foreign material is trapped within a host crystal. The foreign substance can be solid, liquid or gaseous and can become trapped within the crystal either during its growth or once the host crystal has formed. The exact method of inclusion formation depends on the type of inclusion and the conditions under which the crystal was grown . The most well known solid inclusions are ancient insects or plant life suspended in amber. However, solid inclusions can also include different types of gemstones embedded inside another crystal, typically quartz (Image 2). These mineral inclusions either form simultaneously with the host crystal or were pre-existing and the host crystal has grown around it, encasing the foreign material. In the case of quartz which usually forms in hydrothermal conditions (basically a hot water soup of dissolved minerals) the included gem existed in the solution prior to the growth of the quartz and over time the quartz grows around it (Image 3). Alternatively, as many crystal growth conditions are under high temperature and pressure conditions and in aqueous media, liquid inclusions highly saturated with dissolved minerals can form. As the crystal cools these minerals begin to precipitate forming a second crystal inside the host. 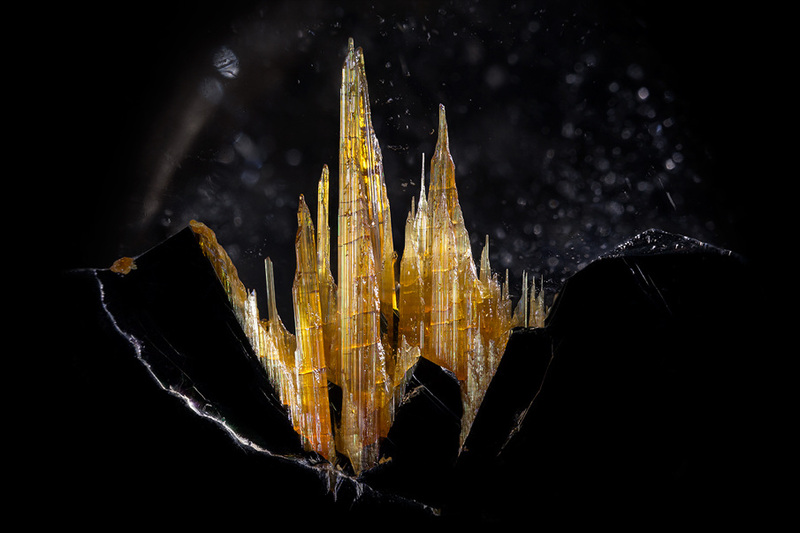 As mentioned, many famous crystals (such as the Naica crystal caverns) were formed in hot, mineral-rich water solutions. As a result, sometimes this solution can become trapped inside the crystal during growth. A rather unique liquid inclusion which occurs under pressurised conditions is liquid CO2, which remains trapped in liquid form due to the pressure maintained inside the inclusion. Quite often liquid inclusions come paired with a bubble of gas, such as in Image 4 in which liquid petroleum and a bubble of methane are trapped in quartz. Finally, “negative crystals” form when a pocket of air is trapped within a crystal. These gaseous inclusions can be a specific gas, depending on the conditions the crystal grew in, or just plain old air. These inclusions can form either due to crystal growth which occurs in multiple directions that then intersect or because crystal growth in a particular direction is inhibited temporarily. Since gaseous inclusions are enclosed by crystal faces the shape will reflect the crystal habit (or defined external shape of the crystal) of the host and they are always oriented parallel to the host crystal (Image 5). 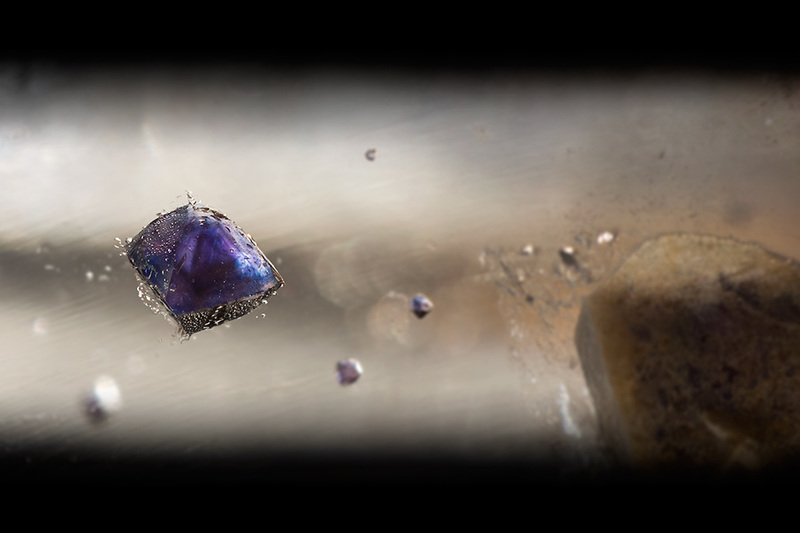 While they may look like a typical gemstone, it is actually an inversion with air “inside” the crystal boundaries and crystal material on the “outside”. Hence these inclusions are named “negative crystals”. A special aspect of any type of inclusion is that the foreign material is suspended in time. In this way, the inclusion contains a “piece of the past” which provides insight into what the earth and the environment were like when the crystal grew, often millions of years ago. For example, the discovery from air inclusions in amber that the oxygen content in air reached 35% during the Cretaceous period, before suddenly dropping to near the current level of ~21% . There are many other forms of inclusions in addition to those shown. Quite often they can produce stunning visual effects and increase the value of the gemstone. For example, star sapphires which produce a unique six-rayed star effect under certain light sources contain tiny inclusions of aligned needle shaped rutile (Image 6). 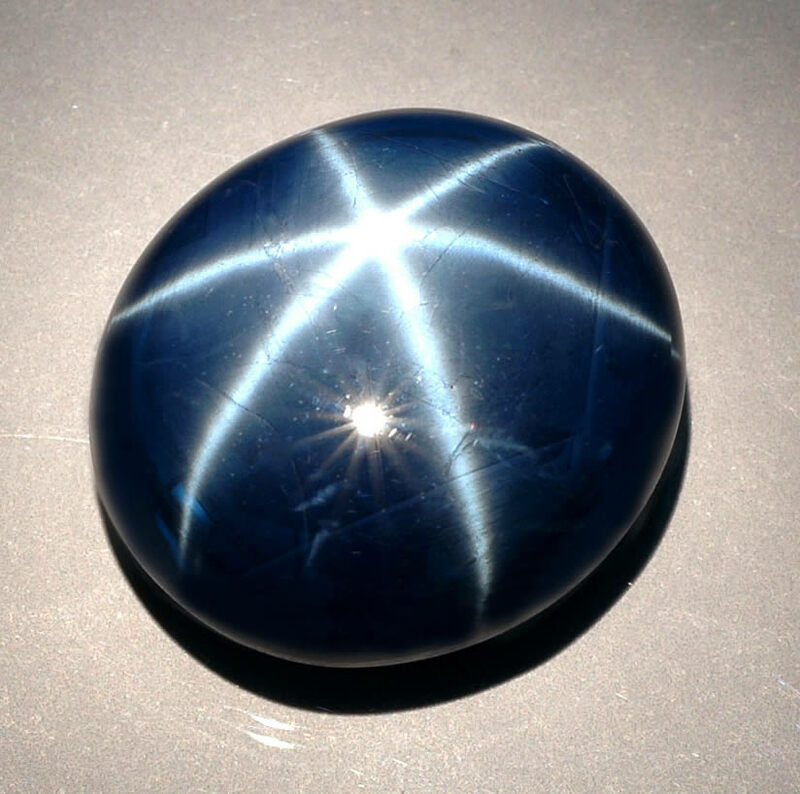 Image 6: Star sapphire under a direct light source. Image from http://www.gemselect.com/. Ordinarily, most inclusions are microscopic in size and can only be properly visualised under a microscope. For the majority of images featured here highly specialised and expensive equipment is required. More images of crystal inclusions can be found in Gübelin and Koivula’s Photoatlas of inclusions in gemstones  or at http://www.dannyjsanchez.com/. Hooper, R.; New Scientist 2014, 2975, 24. Kump, L.R. ; Kasting, J.F. ; Robinson, J.M. Global and Planetary Change 1991, 5, 1. Ruby may be the most iconic gemstone, but often this status has been at the expense of the gemstone spinel. Thanks to the similarity of red spinel to ruby and its extremely high quality, spinels have historically been overlooked and incorrectly labelled as rubies. Some of the most historically iconic rubies aren’t even rubies! Spinels are so often confused for other gemstones that they were never even established as a birthstone (poor spinel). The spinel structure has been described in an earlier post and MgAl2O4 is no different. Spinels consist of a nearly ideal cubic close-packed array of oxygen atoms with one eighth of tetrahedral sites occupied by magnesium and one half of octahedral sites filled aluminium. The AlO6 octahedra share edges with each other and are corner sharing with the MgO4 tetrahedra. Figure 1: Crystal structure of MgAl2O4. The Mg atoms sit within the yellow tetrahedral and the Al atoms sit within the blue octahedra. Image generated by the VESTA (Visualisation for Electronic and STructual analysis) software. Pure red spinel is colourless, so to obtain red spinel small quantities of chromium are substituted for aluminium, which is also the reason why rubies are coloured red. Only around 1 % of chromium substituted for aluminium is required within the crystal structure to generate the brilliant red colour. However, the higher the concentration of chromium, the darker the shade of red obtained. 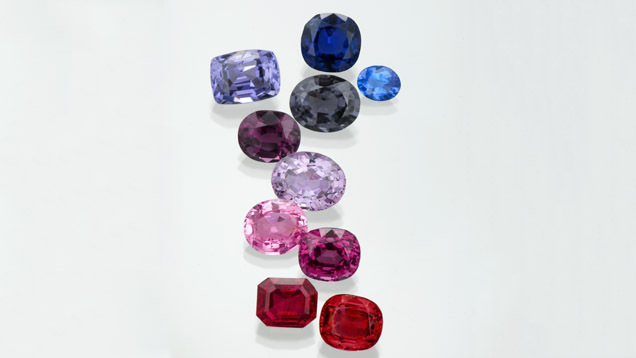 There are actually a range of colours that spinel can adopt depending on the foreign element substituted into the basic structure, from orange and pink to purple and deep blue. In fact, blue spinels, which are so coloured due to the presence of iron or cobalt (rarer), are often used as a substitute, and mistaken, for sapphire. While rubies and sapphires are the more famous and well known gemstones, spinels are equally comparable in appearance and arguably better due to the deeper, richer colours which are more readily obtainable (especially compared to ruby). The heightened brilliance of spinels is a result of being singularly refractive. This means that the gemstone only has a single refractive index, which measures the amount by which light is slowed (and thus bent) when entering the gemstone. 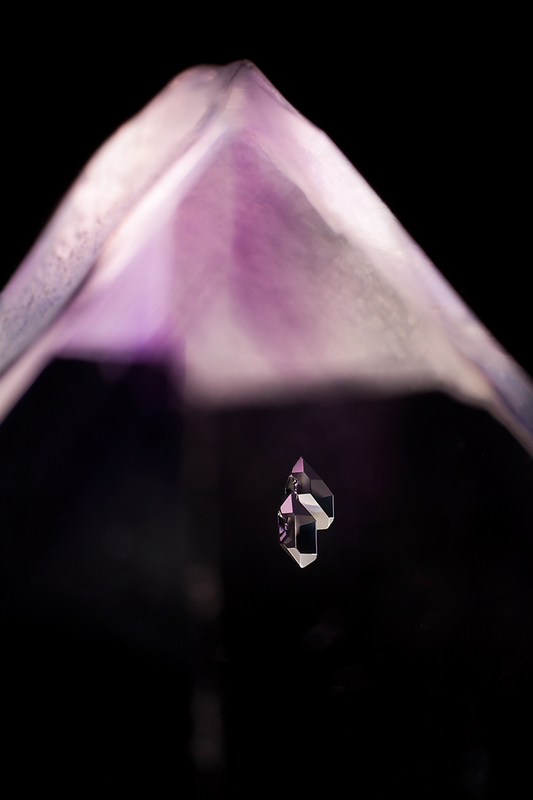 In comparison, the overwhelming majority of gemstones exhibit birefringence which results in the splitting of light when it enters the crystal (see below). The most well known singularly refractive gemstones are garnet, diamond and spinel. The high quality of spinels and fact that they are compositionally similar to rubies has meant that historically they were treated as the same crystal. As a result, there are many infamous rubies which are actually just red spinels. The most well known of these is the Black Prince’s ruby which is set in England’s Imperial State Crown and displayed in the Tower of London. This particular gem has been passed from several Moorish and Spanish Kings before reaching Edward, Prince of Wales (the Black Prince) in 1367. The gem has survived fires, attempted theft and World War II bombing raids to become one of the centerpieces of England’s Crown Jewels. Spinels are not just aesthetically pleasing; they also have some interesting applications. The singularly refractive nature of spinel in combination with the relative ease of producing synthetic spinel has led to its use as high strength window material in military applications. In addition, the relative ease and low cost associated with its manufacture, spinel has come to replace the previous state-of-the-art material, sapphire. Finally, since spinels are so underappreciated, it is much cheaper than ruby! So it is possible to buy polished and cut spinel gemstones which look almost identical to rubies at a fraction of the cost. So there is some benefit to being the underdog of the gemstone world. MgAl2O4 spinel is number 1010129 in the Crystallographic Open Database. Shigley, J. E.; Sloclzton, C. M. Gems and Gemology 1984, 20, 34. Mroz, T. J.; Hartnett, T. M.; Wahl, J. M.; Goldman, L. M.; Kirsch, J.; Lindberg, W. R. SPIE Proceedings 2005, 5786, 64. In yesterday’s post I reminisced about a not-so-successful crystal growth of the defect perovskite material Sr0.8Ti0.6Nb0.4O3. However, my crystal growing adventures did not end there! I had begun a new crystal growth which would prove to be much more successful. In fact, it was to be my first crystal. The material in question was Sr3TiNb4O15. Sr3TiNb4O15 and Sr0.8Ti0.6Nb0.4O3 are actually very closely related. In fact they are a part of the same series derived from SrTiO3. If substitution of niobium for titanium is continued beyond the Sr0.8Ti0.6Nb0.4O3 composition, the defect perovskite structure is no longer stable and a tungsten bronze type structure is formed instead. The exact composition at which a pure tungsten bronze type structure resulted was Sr0.6Ti0.2Nb0.8O3, which corresponds to Sr3TiNb4O15. Figure 1: Crystal structure of Sr3TiNb4O15 generated in VESTA. Structural information can be found in reference 1. Initially, Sr3TiNb4O15 was an impurity to me. It was something I was trying to avoid in order to synthesise a highly defect perovskite structure. 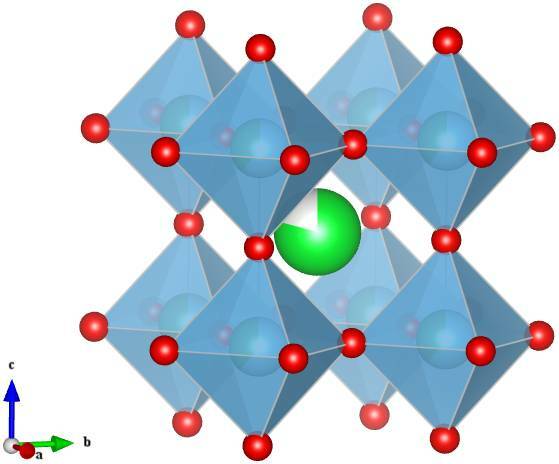 However, Sr3TiNb4O15 itself is interesting as a relaxor ferroelectric material. Traditional ferroelectric materials exhibit a permanent reversible dipole moment which makes them extremely useful in capacitors, non-volatile data storage and other applications. Relaxor ferroelectrics differ slightly compared to traditional ferroelectric materials due to their complex compositions. Rather than exhibiting a strong ferroelectric response at a specific temperature (like traditional ferroelectrics), the response is spread out over a range of temperatures. This means that the dielectric constant of the material will be very close to its maximum for a wide range of temperatures, making them much more useful in applications. Much like traditional ferroelectrics, the crystal symmetry plays a large role in determining the properties of the material. Specifically, the crystal symmetry can tell us whether a permanent dipole moment is possible within a structure. The best way to determine the structure of a crystal is diffraction from a single crystal! So once more I set out to grow crystals using the floating zone furnace. Contrary to my rather lofty plans for Sr0.8Ti0.6Nb0.4O3, I did not require an especially huge crystal. Anything sub-millimetre scale would have been great. 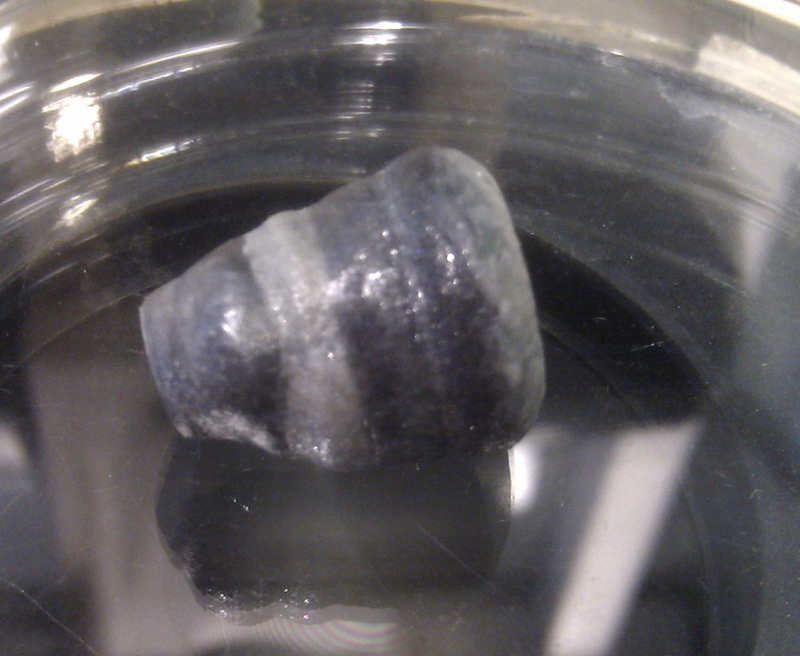 However, in comparison to the defect perovskite, a crystal of Sr3TiNb4O15 was really quite easy to grow. The main difficulty encountered was that the crystal growth was a little bit temperamental and unless it was “baby-sitted” it would tend to destabilise after about an hour. So I spent a nice quiet afternoon in the basement of the chemistry building slowly growing my crystal. Every now and then I would adjust some growth parameters to ensure that the melt wouldn’t destabilise. Eventually I obtained a lovely transparent yellow crystal. Figure 2: Close up of the tungsten bronze crystal. Although the resulting column was comprised of multiple crystals, the crystal fragments were big enough for both X-ray and neutron diffraction experiments (however I was very hesitant to break up my crystal to do these!). While the work to determine the exact symmetry of the structure has now been passed down to another student, I will always be proud of my first ever successful crystal growth. For this post (and the next) I decided to do something a little different and talk about stories from my PhD which are in line with a crystal growing theme. Growing nice large crystals is not easy; there are so many factors which can influence the outcome of the growth of one specific type of crystal that some may consider it an art form. I found this out the hard way through my forays into trying to grow two seemingly similar, but ultimately very different, oxide materials. That is, Sr0.8Ti0.6Nb0.4O3 and Sr3TiNb4O15 (or Sr0.6Ti0.2Nb0.8O3). 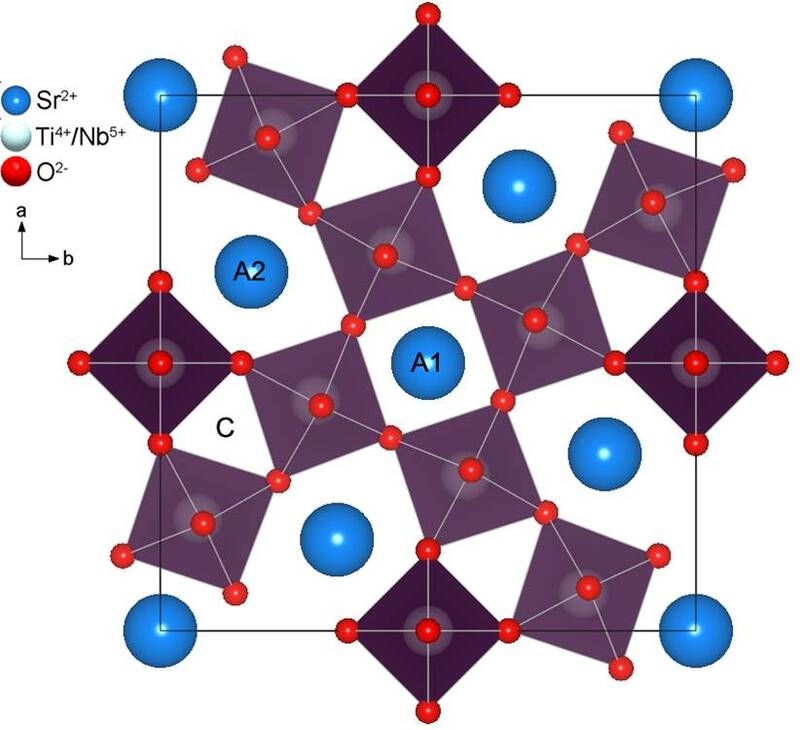 Sr0.8Ti0.6Nb0.4O3 was originally created in an attempt to produce new kinds of A-site deficient perovskites for lithium ion conduction applications. While Sr0.8Ti0.6Nb0.4O3 itself is not a very good lithium ion conductor it did exhibit some interesting short range structural distortions. 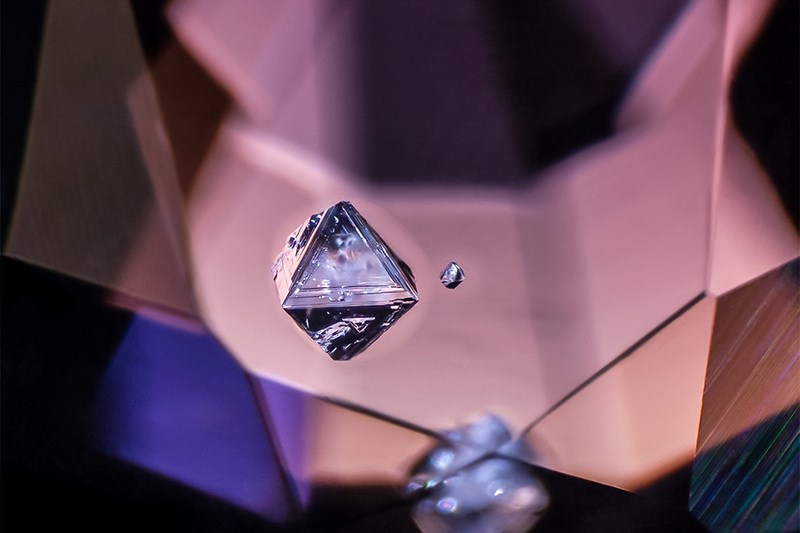 By growing a large single crystal, these distortions could be studied in greater detail. My crystal growing method of choice was the floating zone furnace. To grow a crystal using this method, the ends of two sintered powder rods of a near-pure target material are melted using the focused heat from high power lamps. These molten regions are brought into contact with one another to produce a molten zone suspended between the two powdered rods. As the rods are moved vertically the molten zone travels through the polycrystalline powder. As the melt leaves the hot region crystals begin to form as the material cools. Over time, if all goes well, the growth of one of these crystals will predominate and a large, high quality single crystal will result. The process began by preparing a pure Sr0.8Ti0.6Nb0.4O3 powder. This took around two to three weeks of repeated grinding and sintering. Once a rod of the polycrystalline material was prepared the growth could begin. By begin in this sense I mean about four trial growths were attempted to establish the best conditions. The hard work and long hours finally paid off however, as by the fifth attempt a stable growth had begun! However, this came to a grinding halt as a bubble began to form inside the melt. The bubble become larger and larger as the growth continued before finally bursting sending molten material flying out from the melt zone. So what went wrong? Ironically, the presence of a few vacancies, while not in sufficient quantity to allow for lithium diffusion, encouraged entirely different, unintentional ion diffusion. That is, of oxygen ions! At high temperatures and slightly reducing conditions, oxygen is removed from the material. This gas became trapped in the melt gradually accumulating to the point where eventually a bubble of O2 burst and ruined everything. It was time for round 6: remove as much oxygen as possible before attempting crystal growth. Given that oxygen rapidly left the material at high temperatures, this involved heating both the powder and then the sintered rod up to 1350 °C for extended periods of time. This time around, no bubbles formed and it appeared as though the melt and crystal growth were actually stable. 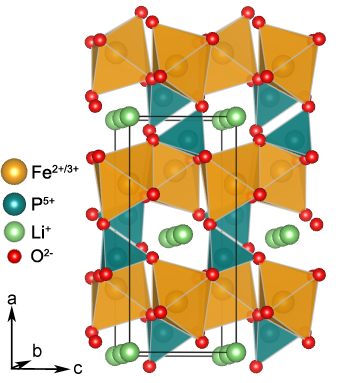 Figure 1: Crystal structure of the distorted perovskite MgSiO3. Image generated in VESTA. Something very significant happened last month; a mineral known to exist for a very long time was finally acknowledged and given a name. 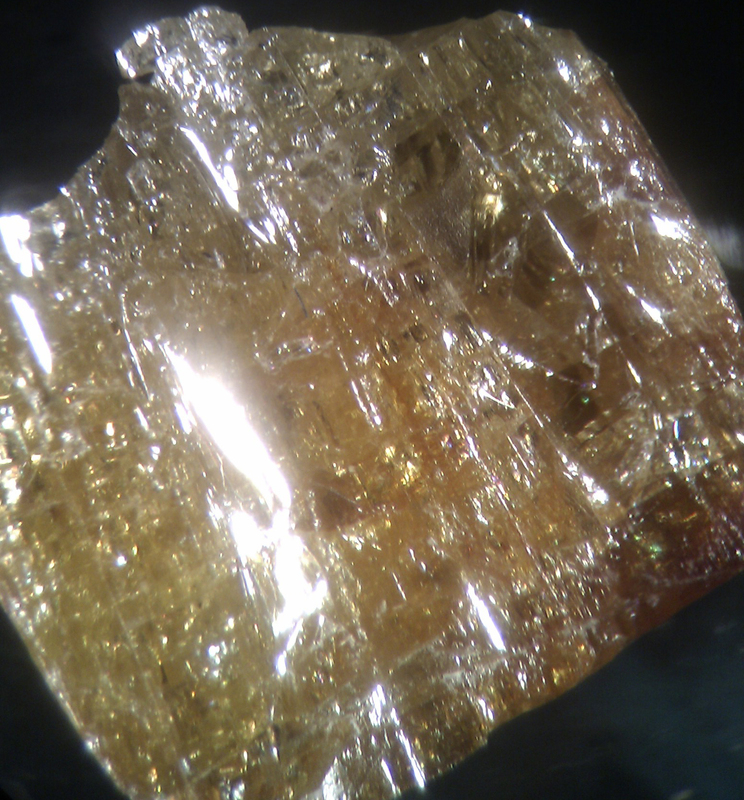 That was silicate perovskite, the most commonly occurring mineral on the planet. Silicate perovskite, now known as bridgmanite, takes on a few elemental forms as it can, for example, incorporate magnesium, iron or calcium on the perovskite A-site. 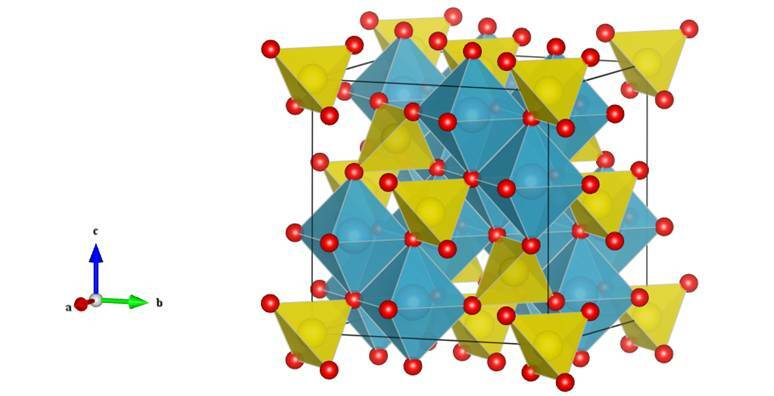 Of these the magnesium containing silicate perovskite, MgSiO­­3, is considered to be the most abundant mineral on the planet. Despite this abundance, naturally occurring silicate perovskites had never been directly observed as it can only be found in the lower mantle, as inferred from high temperature sound velocity data. [1, 2] The only way the structure was able to be studied was from silicate perovskite created synthetically using a laser-heated diamond anvil cells, which recreates the conditions present in the lower mantle. [3, 4] However, since a naturally occurring form had never been directly observed or studied the mineral was never formally recognised with its own name. So what is in a name? What was required for the most common mineral on earth to finally be recognised as a mineral and given a name? For the Commission on New Minerals, Nomenclature and Classification (CNMNC) of the International Mineralogical Association (IMA), the composition and structure of a naturally occurring sample must be known. Ironically, the final composition and structure of the most common mineral on earth was finally determined from a meteorite. That is, a 4.5 billion year old meteorite which landed 135 years ago in our very own backyard, near the Tenham Station in western Queensland. 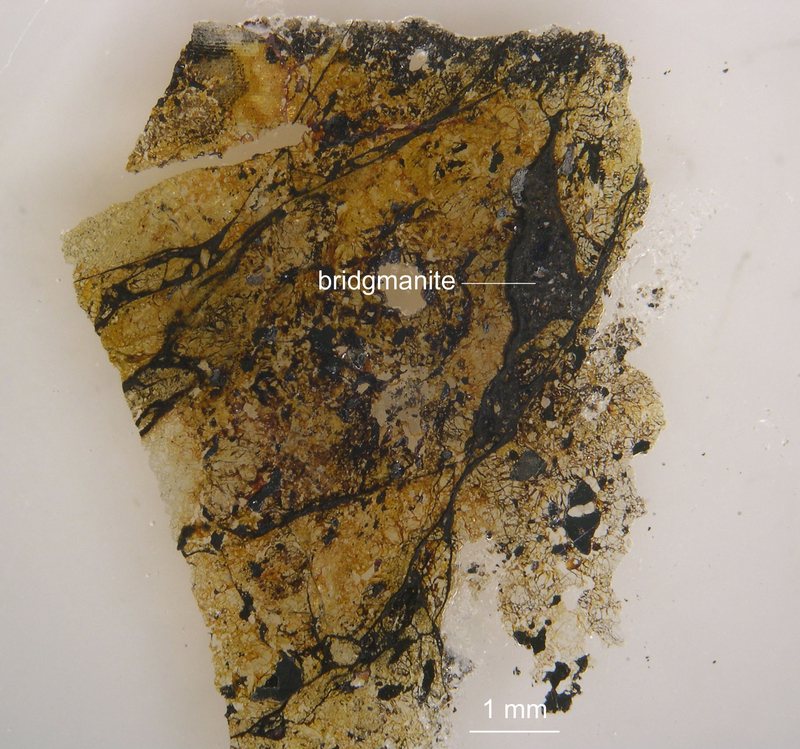 The bridgmanite was formed inside the meteor following collisions with other asteroids in space. The high pressures and temperatures experienced in these collisions generated “shock veins” of the mineral through the meteor (Figure 2). The presence of silicate perovskite in these veins was determined following five years of work by Dr Chi Ma from California Institute of Technology and Prof Oliver Tschauner from the University of Nevada-Las Vegas. The mineral was identified using synchrotron X-ray diffraction mapping and the composition were confirmed using a high resolution scanning electron microscope. The mineral was named after the physicist Percy Bridgman who won a Nobel prize for high pressure physics. This name pays homage to the large body of high pressure research which has been performed on synthesising and understanding silicate perovskites. M. Murakami, S.V. Sinogeikin, H. Hellwig, J.D. Bass, J. Li, Earth and Planetary Science Letters, 256 (2007) 47-54. M. Murakami, Y. Ohishi, N. Hirao, K. Hirose, Nature (London, U. K.), 485 (2012) 90-94. L.-G. Liu, Geophys. Res. Lett., 1 (1974) 277-280. L.-G. Liu, Geophys. Res. Lett., 2 (1975) 417-419. J. Wendel, Eos, Transactions American Geophysical Union, 95 (2014) 195-195. It is the dream of all crystallographers to develop a technique which can grow the largest and highest quality crystals possible. Often this is extremely difficult to do due to all of the competing factors which can drive crystal growth, and so it is often considered an art form. 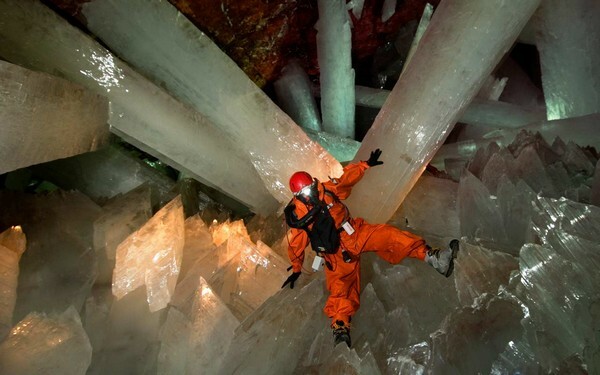 The rarity of large single crystals is what makes the Naica crystal caves truly extraordinary. The great crystal cavern of NAICA mines. Buried 300 meters below the surface, and discovered at a time when we people believed that they had seen every spectacular sight the earth had to offer, are the selenite crystal caves (Figure 1). 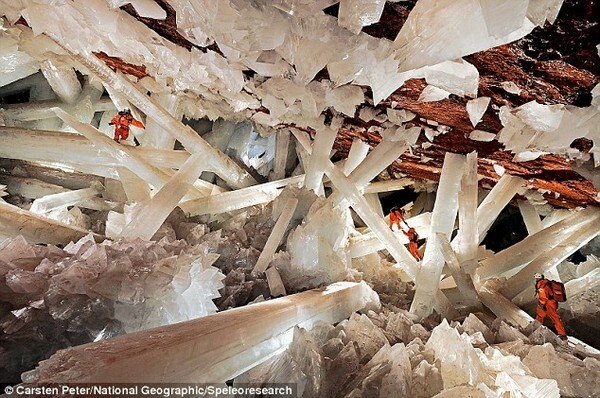 No, this is not a carefully constructed Photoshop; those are real people climbing over pure gypsum crystals, otherwise known as selenite. In fact these are the largest of any naturally occurring crystals measuring up to 12 m in length, 4 m in diameter and 55 tons in weight. However, before you rush to pull out your passport and start booking flights, know that these caves are not open to the public. The caves are restricted partially for preservation purposes (instigated by a mining company of all things) but also because conditions within the cave are oppressive. Due to their location above an underground magma chamber and the presence of a large quantity of ground water, temperatures can sit at a constant 58 °C and 90 to 99 % humidity. Without special protection humans can only survive in these conditions for a few minutes. Incidentally, these are ideal conditions for crystal growth. Prior to their discovery, the caves were filled with hot, mineral rich water for 500,000 years. During this time the temperature hardly varied and the crystals were allowed to slowly grow to the size they are today. Researcher in protective gear among the crystals. So if the caves are closed to public access, what are people doing there? A huge research project is being undertaken covering fields from medical research to regional geology. Some examples of the research being performed include, investigating how the crystals became so large and how old they are, studying pollen and microorganisms trapped inside the crystals, developing technology which enables humans to work in extreme conditions for long periods of time and building an understanding of the physiological effects of exposure to these extreme conditions over a long period of time. However, the longer the crystals are exposed to the air the more faded and brittle they become, eventually cracking under their own weight. As a result there are constant discussions on whether research should continue in order to understand this unique natural resource or whether the caves should be re-flooded with water in order to preserve their current form. 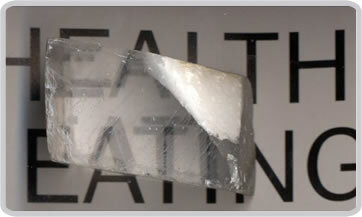 As mentioned, the crystals are a pure form of gypsum known as selenite. The crystal structure of selenite/gypsum (CaSO4•2(H2O)) has been featured before on this blog in its “desert rose form”. The main difference between the desert rose crystals and selenite is the presence of sand impurities in desert rose. 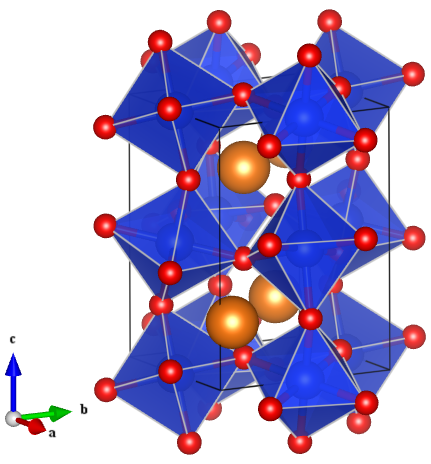 Another view of the structure is provided below where calcium is shown in blue, SO4 tetrahedra are yellow, oxygen is red and hydrogen is white. The image was generated from a structure in the paper Schofield P. F., Knight K. S., Stretton I. C. American Mineralogist 81 (1996) 847-851 and can be found on the American Mineralogical database.